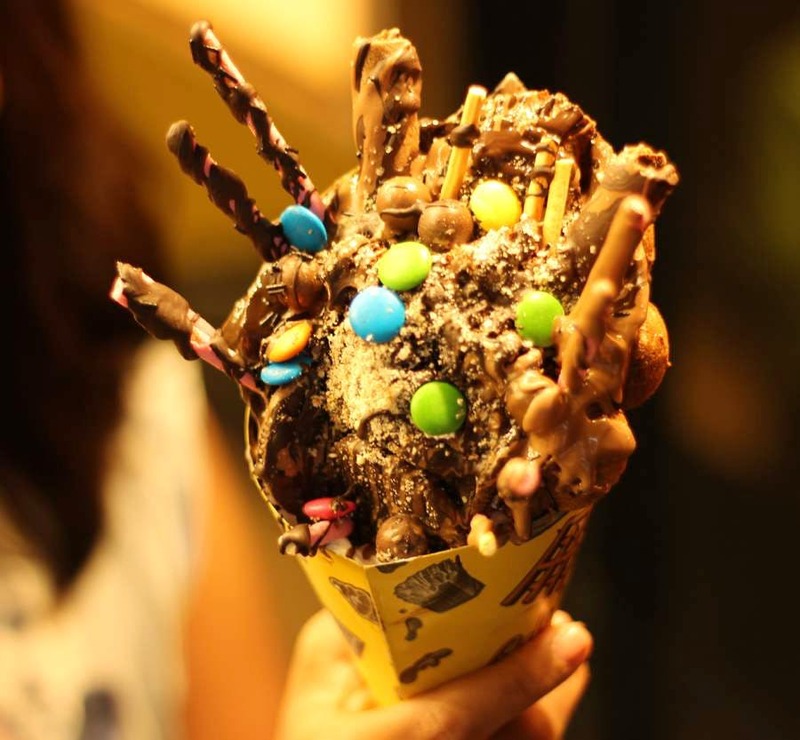 Head To The Waffle Factory To Satiate Your Sweet Waffle Cravings! Located in a cosy little corner in Koramangala, The Belgian waffle factory vows to satiate your sweet cravings with a choice of unique, amazing waffles. I visited with my family and we tried two waffle sandwiches and two bubble wraps. These were: 1. The Sin Waffle - A waffle sandwich loaded with molten chocolate filling, chocolate Waffle and choco chips. 2. Monkeytella Waffle - A waffle sandwich with the classic combination of banana, Nutella and whipped cream. 3. Bubble Royale - This bubble wrap waffle was very rich and chocolatey. The first bite was delicious, but this is the kind of dessert that gets overwhelming fast, so this would be a good option if you were sharing between two people. 3. Around the Berry Bubble - A bubble wrap waffle filled with ice cream, dark chocolate, blueberries, and strawberry. The best thing about waffles is that they are a good snack at any time of the day. This place is a must try for waffle Lovers.